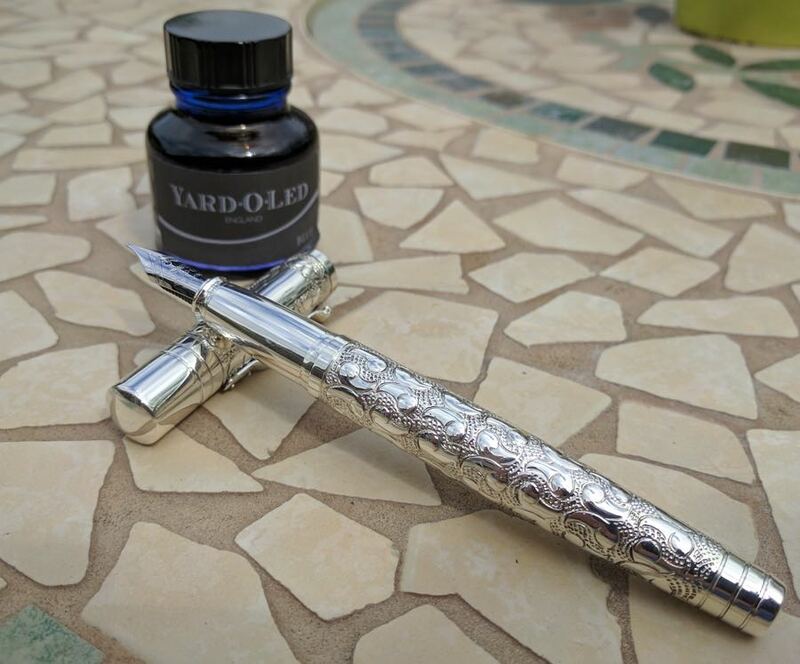 Yard-O-Led Grand Viceroy Victorian Fountain Pen Review – Pens! Paper! Pencils! I try to keep things at the more affordable end of the price spectrum here on Pens! Paper! Pencils! Although I know that what’s affordable varies dramatically from person to person, I think I’m on pretty safe ground when I say that the Yard-O-Led Grand Viceroy Victorian does not fall in that category. It’s from a different world and to be honest I’ve not used any other pen that I can fairly compare it with. What I can do instead is tell you all about this pen and how it made me feel to hold and to use it. 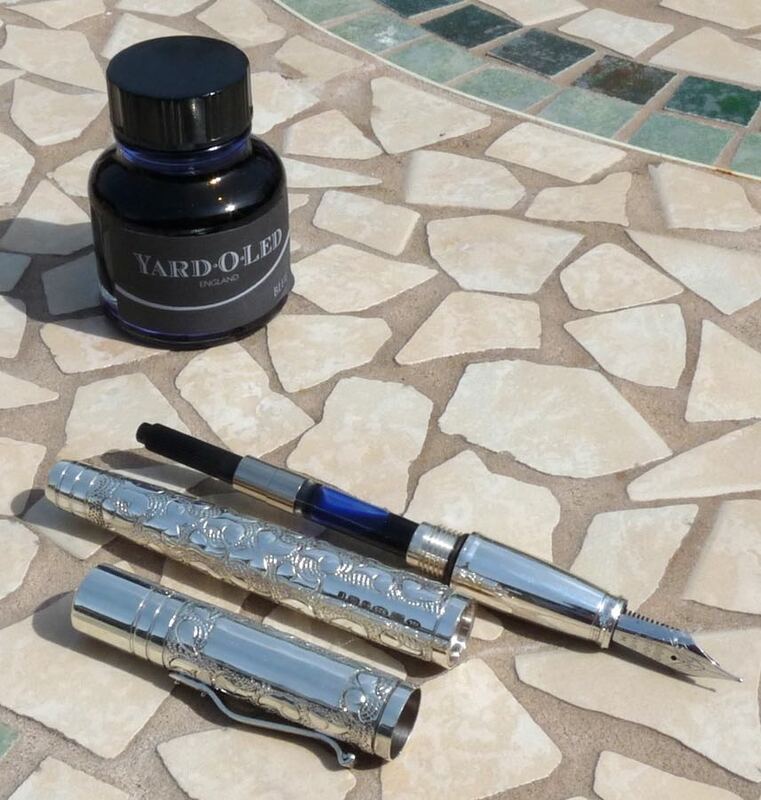 Yard-O-Led have a history going back almost 200 years, for much of that time specialising in mechanical pencils. 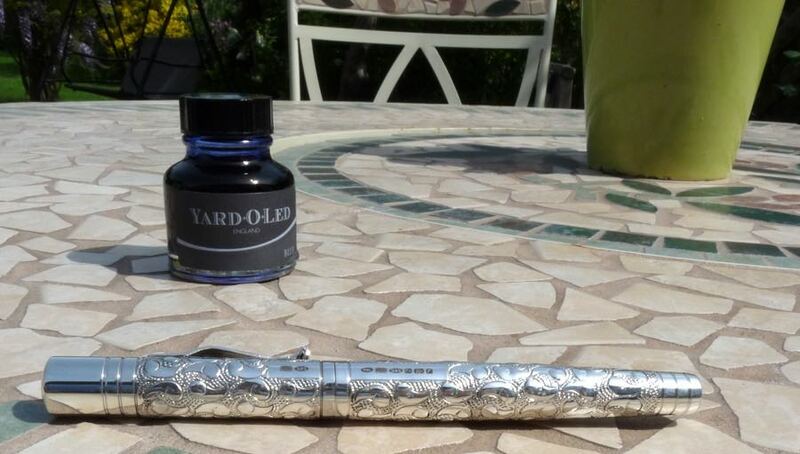 It’s hard to go into an antiques shop in the UK without coming across a silver Yard-O-Led pencil. 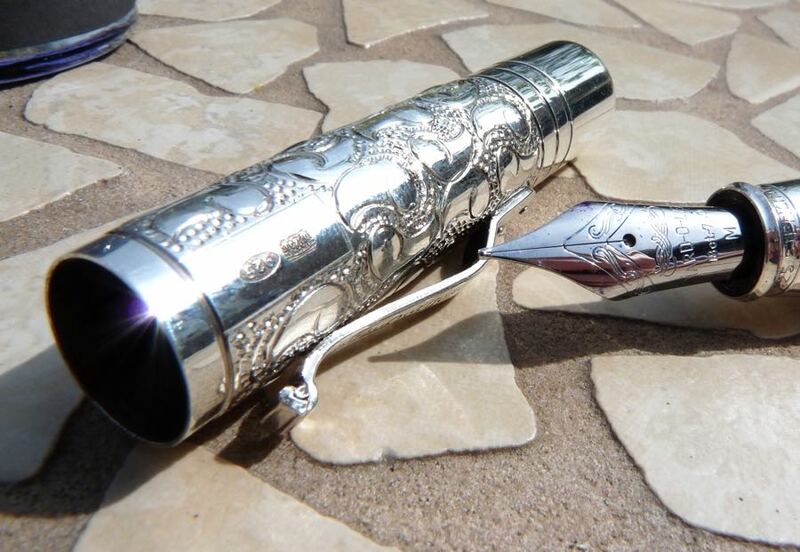 Fountain pens are a more recent venture, building on those decades (centuries, even) of silversmith experience. The Grand Viceroy part of this pen’s name refers to the size and shape and Victorian refers to the design on the barrel. 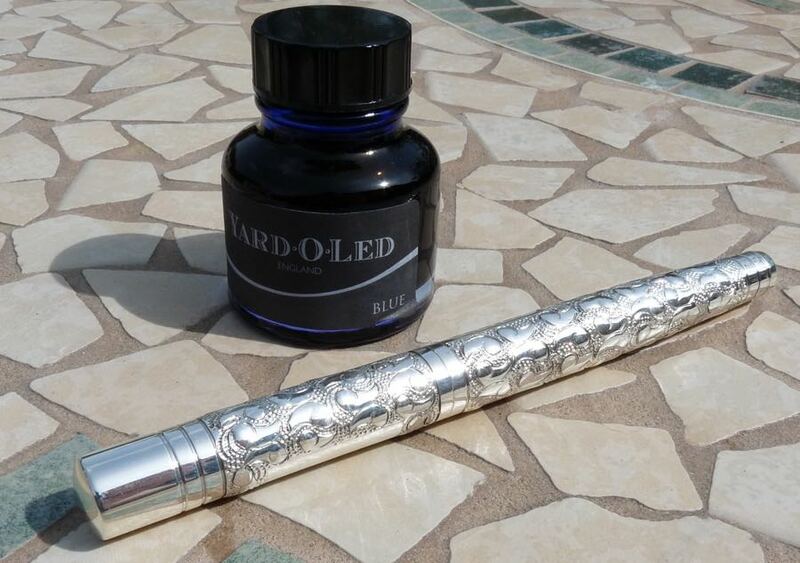 This is Yard-O-Led’s flagship pen. 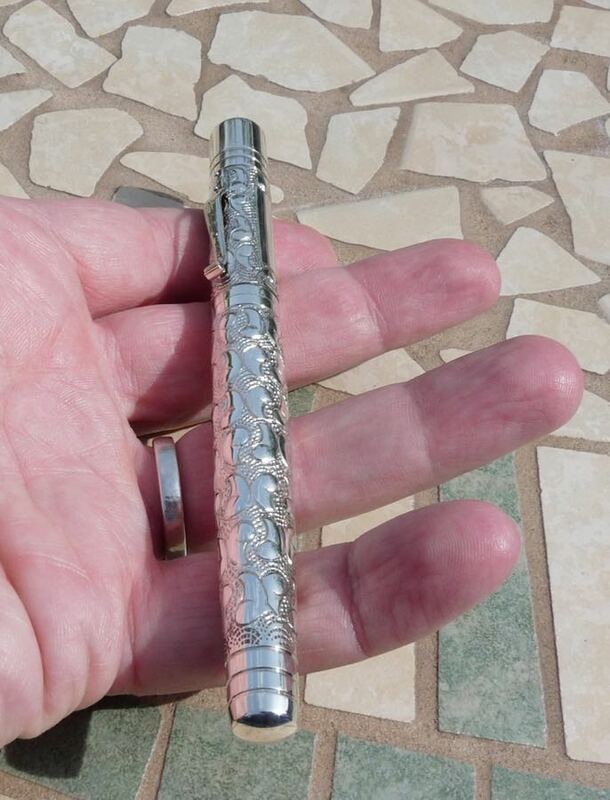 It’s a big pen and a weighty one but it’s very well balanced and so sits comfortably in the hand. It has presence. 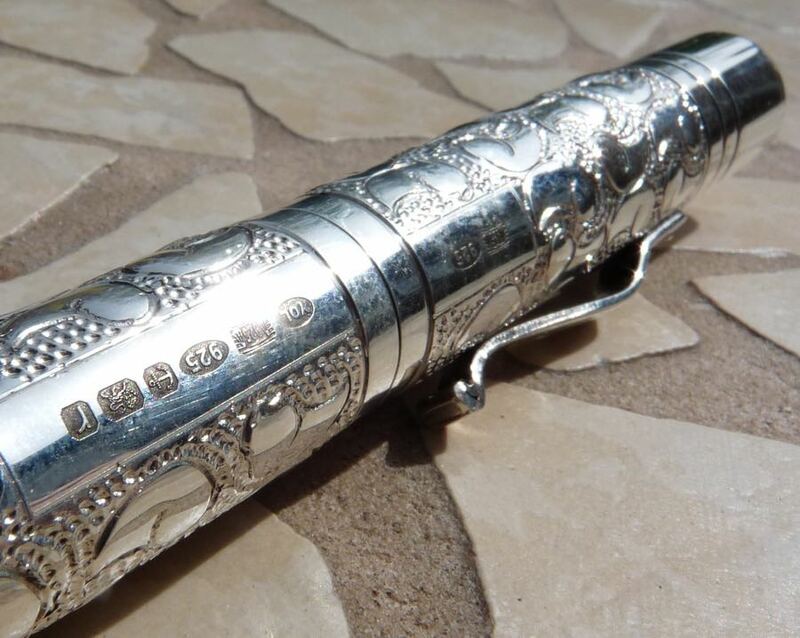 It’s made from hallmarked solid sterling silver and it’s gorgeous. 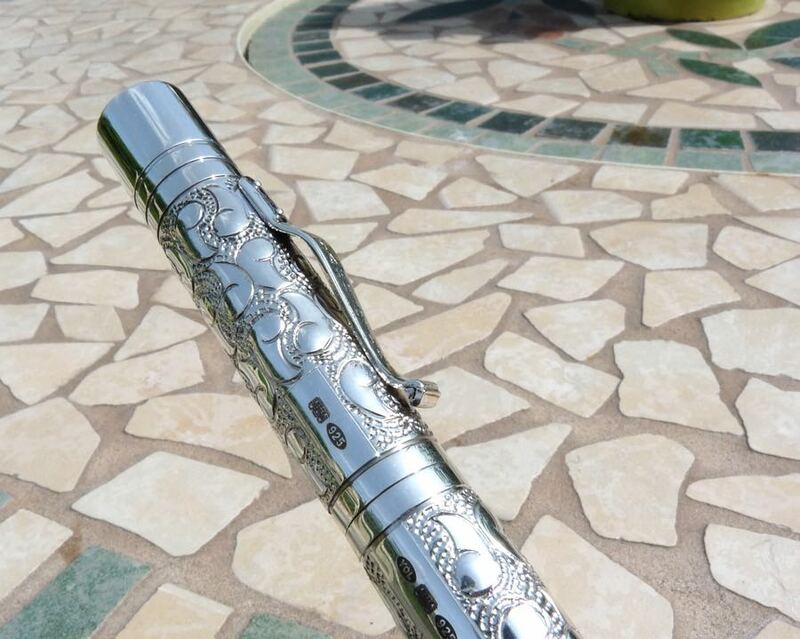 The Victorian pattern on the barrel is applied by hand and is lovely. It gives the pen a historical feel (more of which later) and it also prevents the barrel of the pen from being too much of a fingerprint magnet. The same can’t be said of the section, which is very shiny and will need frequent polishing to remain so. 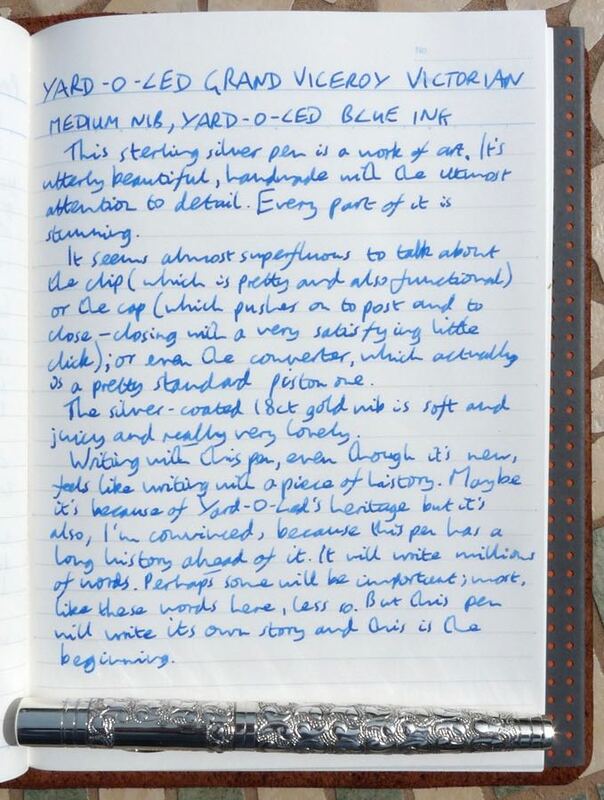 The silver rhodium plated 18k gold nib looks fantastic and is a dream to write with. It’s smooth and juicy and, with the spot-on balance of the pen itself, makes for a fantastic writing experience. The pen uses a converter and given the materials it’s made from that’s perhaps the best option. I personally have no problem with converters as a filling system but I know some people think expensive pens should use more sophisticated methods. A pen costing this much ought to get everything right and this one does. 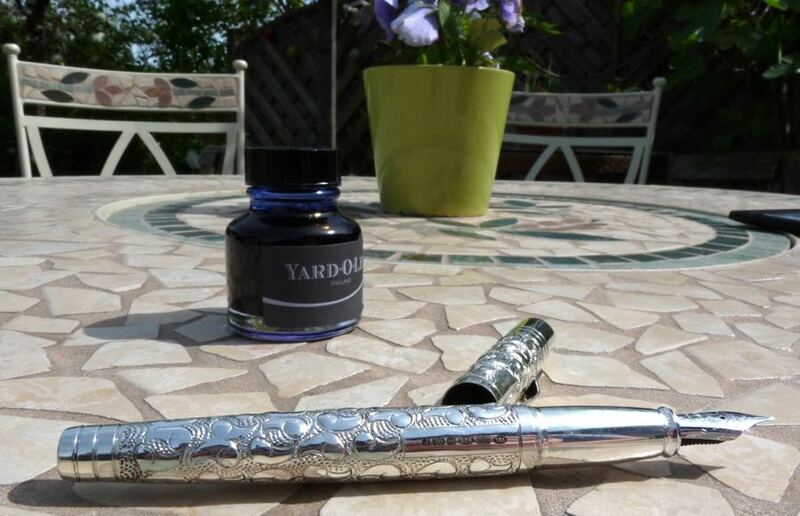 What made this one special to me, what makes me really really really want one of my own, is the way Yard-O-Led have been able to give this pen a sense of history. The Victorian pattern on the barrel contributes to that of course, as does the company’s own history. Somehow though what I feel when I’m using this pen is that it’s going to create its own history. It’s going to write millions of words, it’s going to create it’s own story, it’s going to write trivial nonsense (as it did while it was with me) and it’s going to write some words that will be very important in some people’s lives. This is a pen that takes 200 years of history and prepares for 200 more. I have the smaller “standard” version of this pen, and it is, indeed beautiful. It’s not my favorite pen, however: the nib is not at all flexible (well, not in normal use), not especially fine (at least compared to Japanese nibs), and, at least for the pen I have, squeaky—it literally makes a squeaking noise as you move it across the paper, which isn’t true for any of the other fountain pens I have or have used. But it’s wonderful in hand, and great to look at. It does tarnish like crazy (at least when stored in its pouch), so it’s good that it includes a polishing cloth. Thinking about it now, I should really send it off for a nib grind to make it more fun to write with. 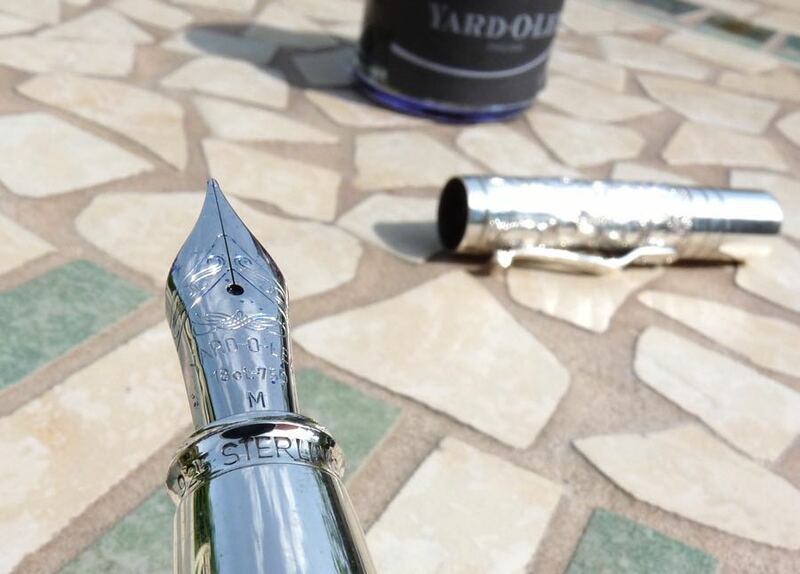 Obviously the nib is plated with rhodium because it does not tarnish..
Ah yes of course, silly me. I’ve corrected the review now. I can’t afford either but I’d love to have both!